Stroll through the Renaissance town of Pienza. Meander through the ancient streets and alleys of the medieval towns of Montalcino, Montepulciano and Cortona. Experience lunch in a Tuscan farmhouse. Sip a glass of world-class Brunello wine. Visit the Umbrian towns of Orvieto and Todi. 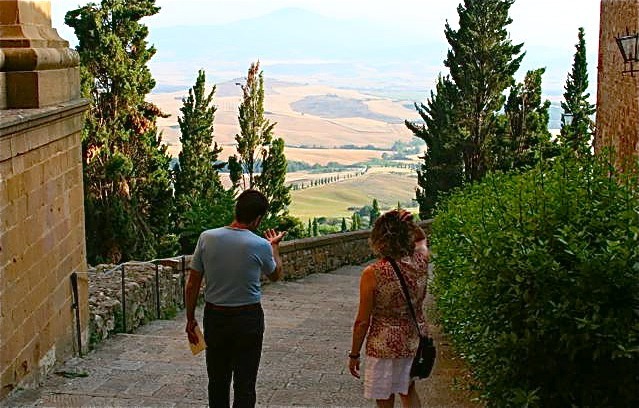 Walk through the rolling Tuscan countryside.